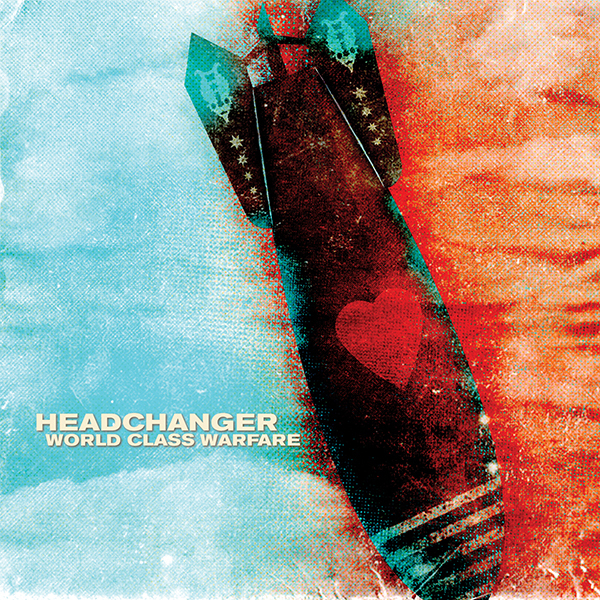 World Class Warfare by Headchanger of Long Beach CA. 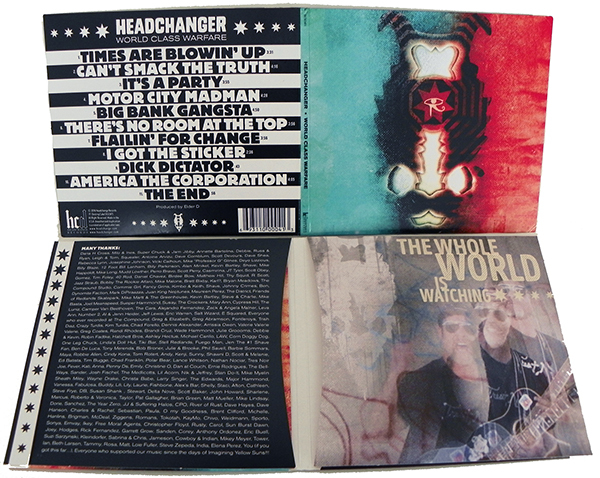 Released November 5, 2016 by Headchange Records - it is a concept album of protest songs written by Elder D.
World Class Warfare was recorded at the world famous Compound Studio in Long Beach (also founded and built by Elder D), this record is a collection of musical social commentary. It was engineered by Antoine Arvizu, produced by Elder D, and performed by some of the very best musicians in Long Beach including: Dave Cornblum, Dave Shea, Scott Devours (The Who, Daltrey), 12 Foot Bill Lanham, Billy Parkinson, Billy Blaze, Alan Minikel, Rebecca Lynn, Josephine Johnson, Vicky Calhoun (RHCP, Fishbone), Antoine Arvizu (Marc Ford, Bourbon Jones), Mike “Professor G” Glines and Elder D.
Steve Cross became Elder D in 1997 when he conceived and co-wrote The Elderly Rock Opera. 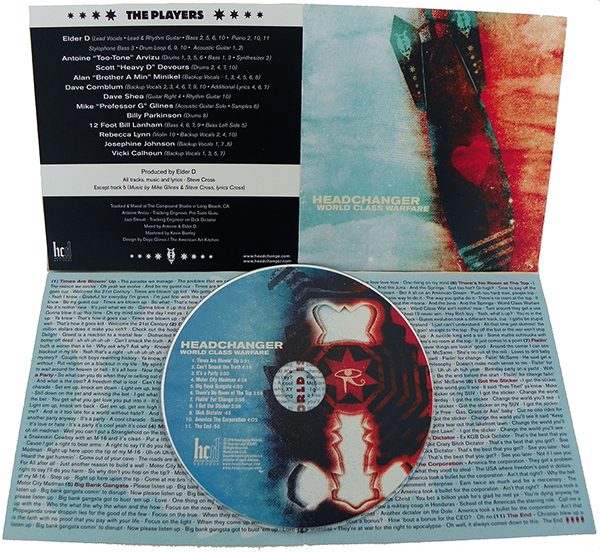 Elder D currently plays guitar and sings in Headchanger, also bass & guitar in Shave as well as producing many bands from Long Beach CA. Steve Cross’ early career was as lead guitarist and backup singer for Imagining Yellow Suns which were a Dr Dream Records artist in the late 1980’s. After the Suns broke up Cross founded Long Beach Cake in 1991 with Suns drummer Robin Fadtke and Rebecca Lynn on violin / guitar / vocals. Long Beach Cake released one record “The Lungpigs” in 1995 on their record label Headchange Records. In 1993 he co-founded Shave which released Jesus Shaves in 1997 and Transuniversal Worldwide in 2004 - new record, Shave The Nation, out early next year.